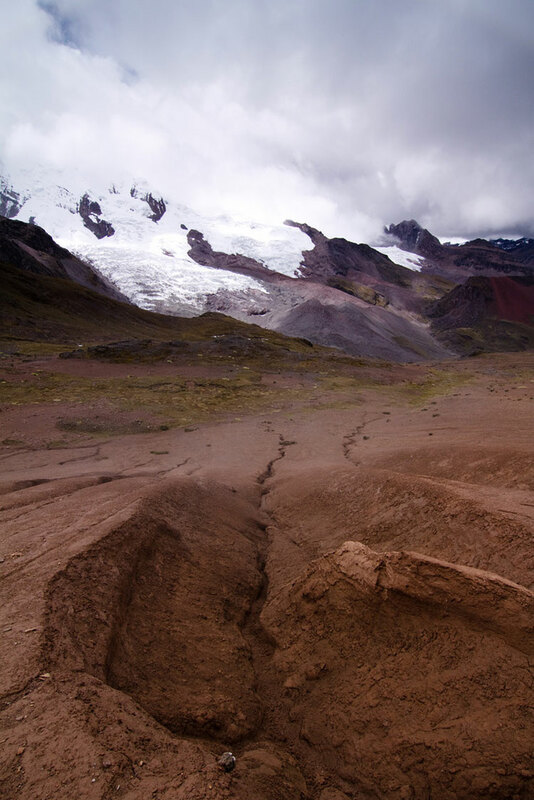 A circular route starting and ending at the traditional village of Tinqui, in the Peruvian Andes. 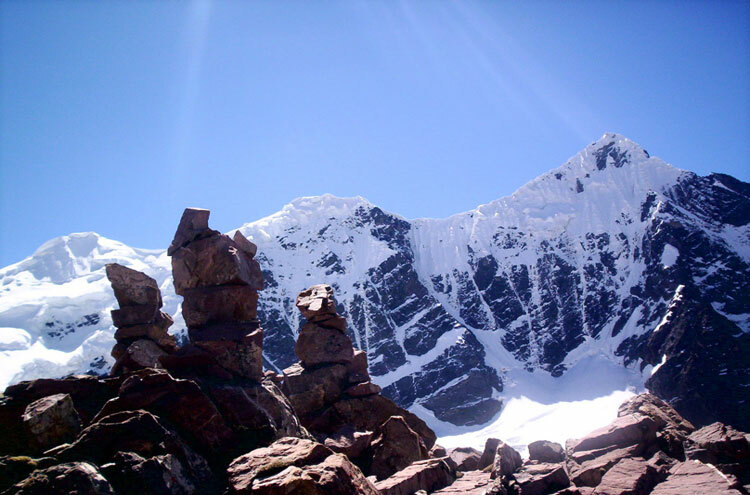 Experience the beauty of this towering range, and circle the sacred Nevado de Ausangate. Soaring peaks, calving glaciers, colourful lakes; plus exciting wildlife. After leaving the lower valleys, populated by colourful mountain people, this walk enters remote, frozen highlands. Snow underfoot, and two passes of over 5,000m. Come prepared. 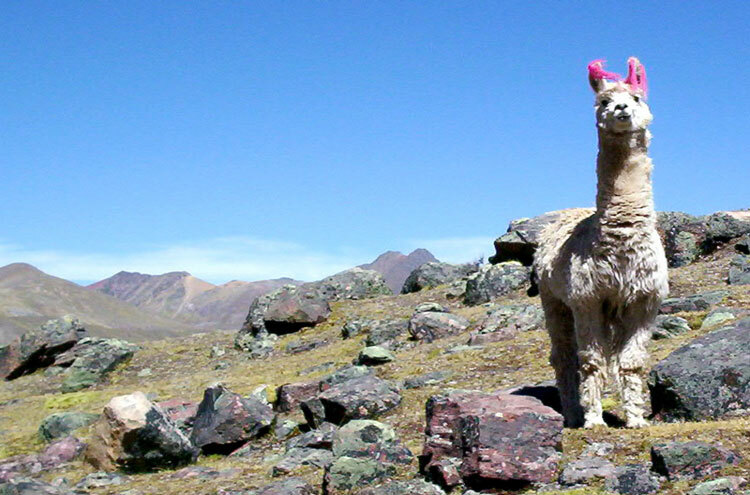 A tour of Ausangate offers everything one could hope for from a trek: soaring alpine scenery; trailside hot springs; glaciers; lakes; ragged llama and alpaca herds; and colourful mountain peoples giving way to an empty landscape. It is a tough route, with steep uphill and downhill sections and high altitudes, yet the views and the challenge are well worth the pain. 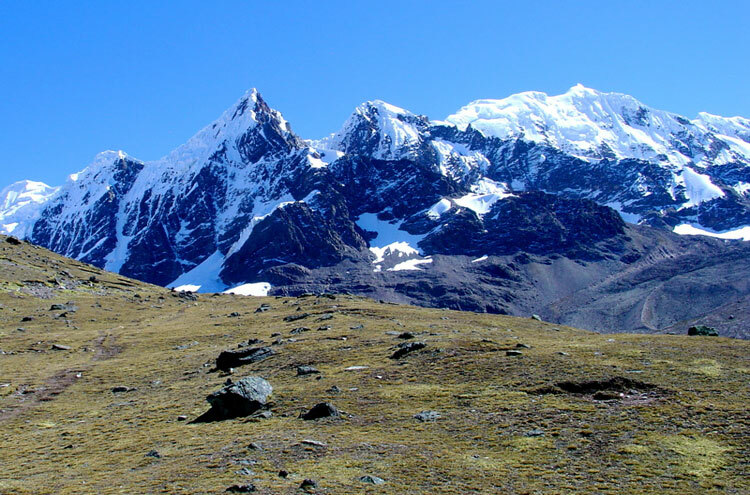 An alternative route could be to the Alpamayo base camp. 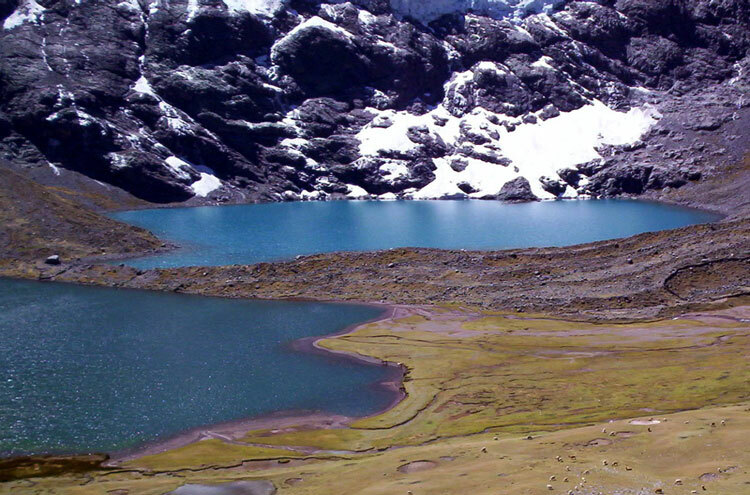 6,385m Ausangate is an Apu - a designated holy mountain - and South America's Mt. 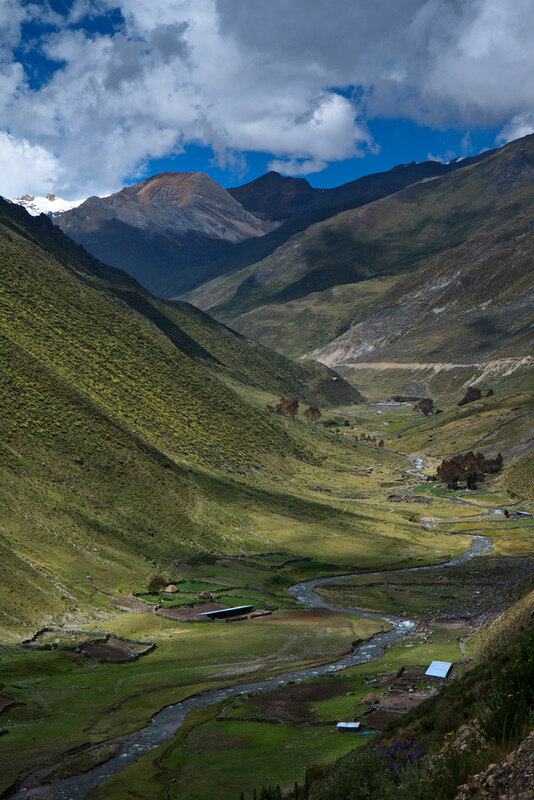 Olympus, home of the pre-Inca Gods. Quickly you learn to revere this massif too, as the indigenous pre-Inca inhabitants of this forbidding landscape did; and should you visit in June, there still exists a fusion of Christian and ancient pagan celebrations, the Qoyllur Rit'i festival, paying homage to the mountain in a spectacular flurry of colour and activity. The kaleidoscope scenery runs the entire gamut of blues ethereal cobalt hues far within encroaching glaciers; turquoise lakes; sapphire skies. Crystalline, pure-white snow crunches underfoot for much of the circular route, once away from the villages in the (relative!) lowlands. 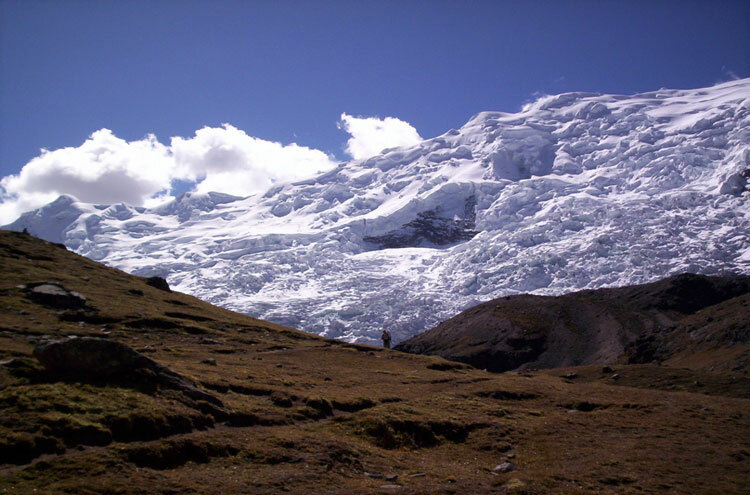 Having waited out the necessary acclimatisation period in Cuzco, or somewhere of similar altitude, a transfer to Tinqui heralds the beginning of the expedition. 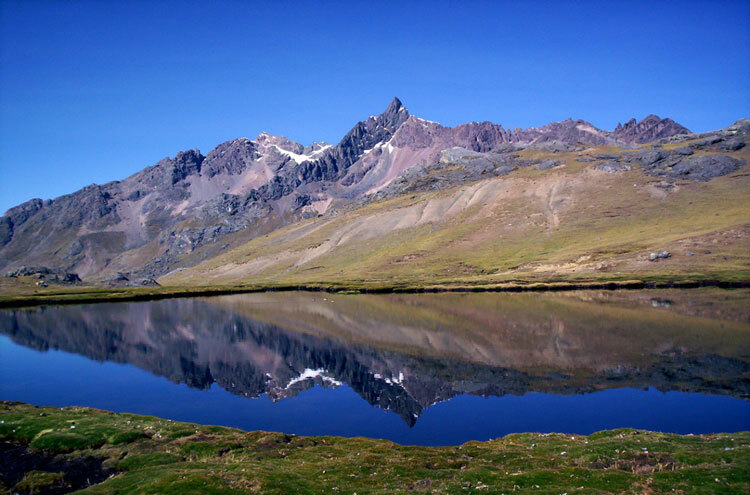 From there, a day's walking will bring an overnight stay neighbouring some hot springs, from which there are some great views to the Nevado de Ausangate itself. 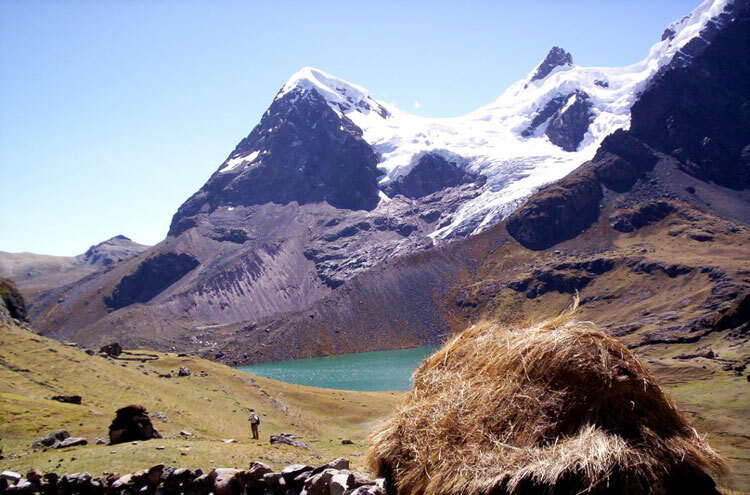 The following day climbs the first high pass (morning), before a trek down into lake-filled valleys: the green Puga Q'ocha, and turquoise Jatan Puga Q'ocha. 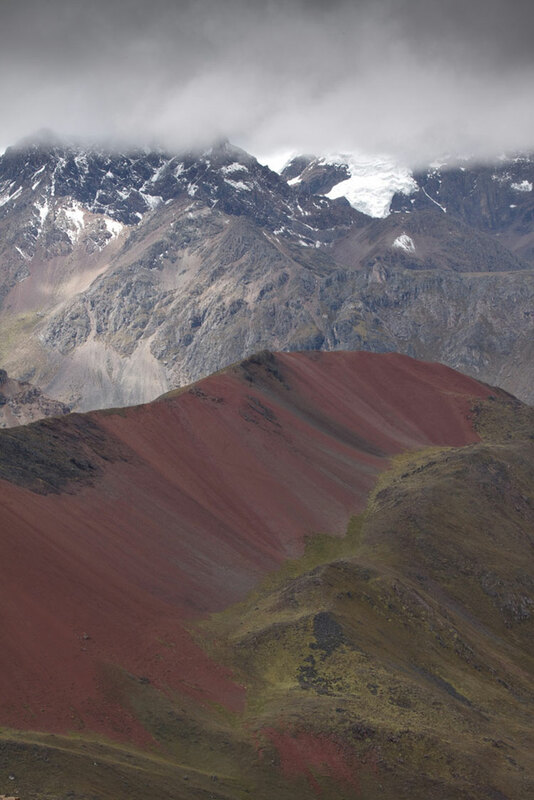 Most remarkable, though, is Vino Q'ocha a further ridge along; the lake appears blood red, a colour lent by glacial sediment filtering down from nearby mountains, named by local Quechua Indian herdsmen. 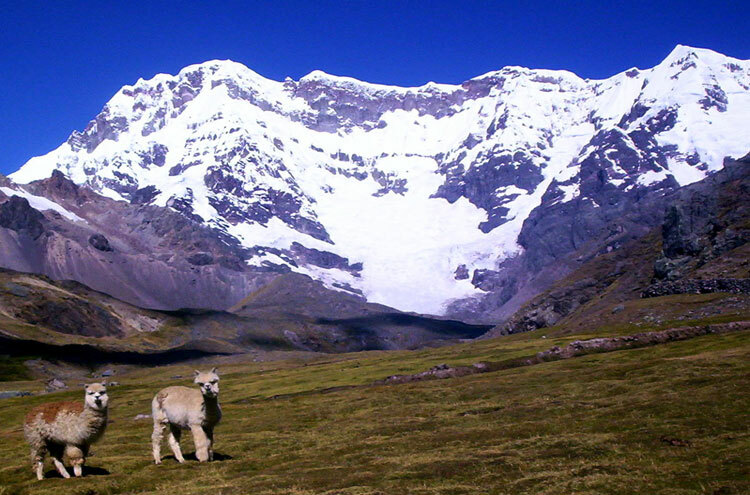 Wildlife to be seen in this frigid landscape includes the Andean condor and many vincuna, a stocky llama-like animal. In the night you hear ice from a nearby glacier, passed in the next two days, cracking, calving; breaking off in house-sized lumps and falling into vast lakes. Two ascents on the fourth day of trekking reach altitudes of 4,900m (at Apuchata) and the highest pass, 5,200m Palomani Pass. 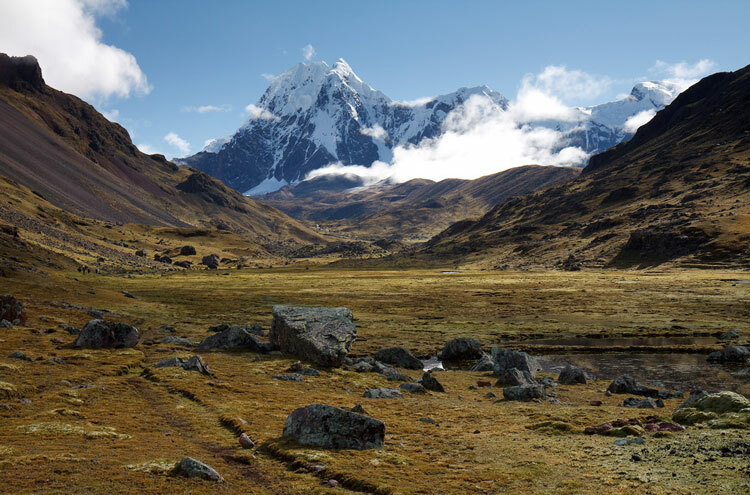 Respite is finally granted, after the previous days exertions, for day five winds between the lush, broad, green valley of Pampa Jutunpata and the Rio Q'ampa valley, the twin snow-capped peaks of Tres Picos and Puca Punta rearing in the backdrop. From here, the return trek to Tinqui is fairly straightforward, with another turquoise lake en route, before finishing amongst more hot springs and a small, traditional Andean village (where you can buy a refreshing beer). A perfect end!